If you enter the cafeteria at the University of Arkansas for Medical Sciences (UAMS), the first thing you’ll see is Derrick’s smiling face. No matter the day or the task, Derrick takes it on with a smile. 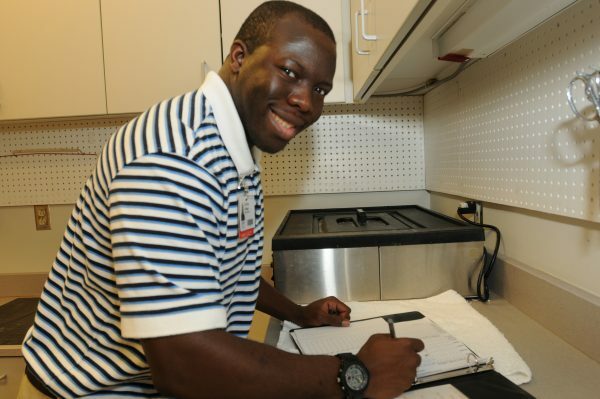 As an intern with Project SEARCH®, he knew that a job in Nutrition Services was his ultimate goal. Today, Derrick gets to fulfill his dream as he happily fills plates with the daily specials and a warm greeting at the UAMS cafeteria.